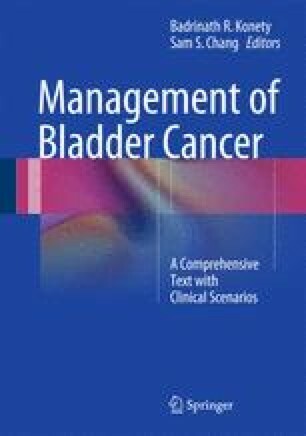 Positive lymph nodes are found in 20–30 % of patients undergoing radical cystectomy for bladder cancer. Their presence is associated with poor survival in the majority. Super-extended lymph node dissection is recommended in the presence of positive lymph nodes to possibly improve oncologic outcome. In patients with unsuspicious lymph nodes, dissection should be performed at least up to the common iliac vessels. Even in the presence of lymph node metastases cystectomy is indicated to reduce local tumor complications. The type of urinary diversion should not be altered by lymph node positivity unless the diversion would otherwise negatively influence the extent of the procedure.